Arthur and I drove north from Forest Grove, Oregon, to Bellingham, Washington. 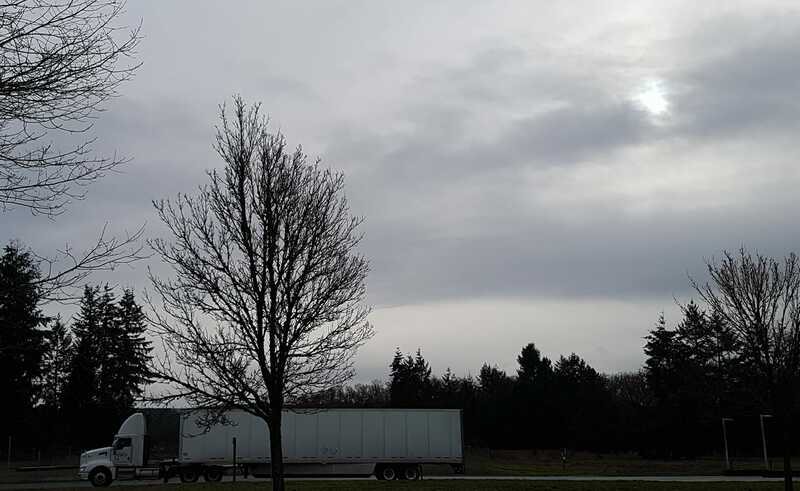 I saw this tree, with truck, at a rest area off I-5 near Centralia, WA. 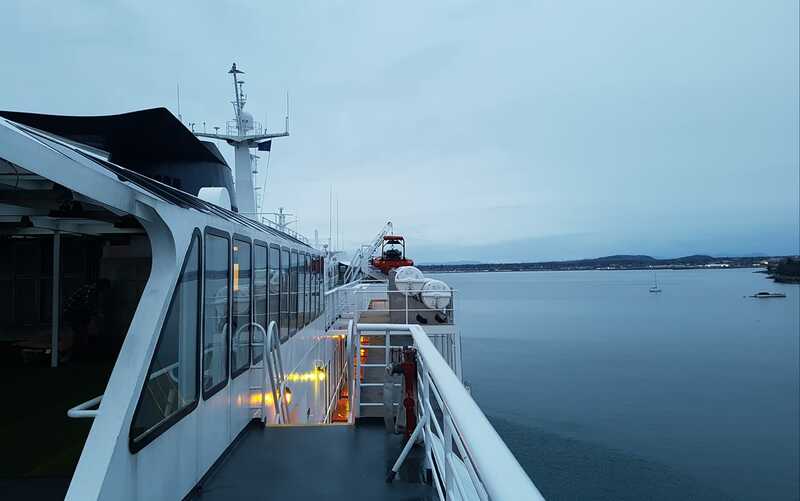 We arrived in Bellingham and checked in to our ferry with Alaska Marine Highway. Our boat will be the M/V Columbia. I saw this view of the area of Bellingham called Fairhaven from the dock – this used to be an independent town but has been absorbed by Bellingham. Bellingham reminds me a lot of Eureka, California (a town of my childhood). We boarded the boat right at dusk. This blog post posted from a floating boat, just underway.